Brilliant fun, friendly staff, far enough from the city for a bit of quiet, yet close enough for a good night out. Great value for money with BBQ nights and free sailing. 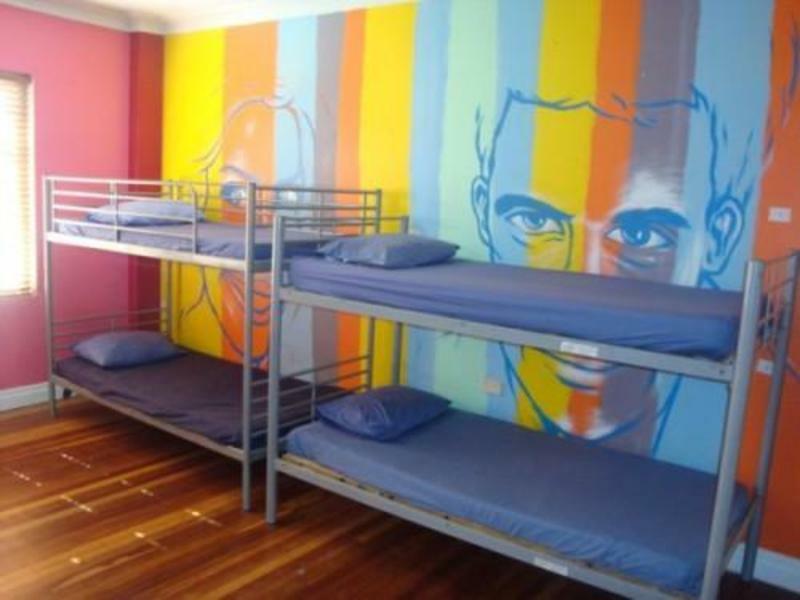 Manly Harbor Backpackers is the place to relax party, have fun and make friends. Our friendly staff are here to look after you by offering the most exclusive homely stay with that extra personal touch. Not to mention, we are Brisbane's only backpackers by the bay! We have long term rates at $140.00 per week for people looking for work in Brisbane and wanting to save some cash! And lots of fun! When staying at Manly Harbor Backpackers, you'll receive a complementary drink in our restaurant, Manly Deck - ask us how!!!! Funky rooms: All our rooms are themed, not numbered, most rooms have en-suite facilities and we have cheap doubles rooms available. 1. Standard Dorm - 8 bed dorm. 2. Ensuite Dorm - Queen bed and six singles. Shower, toilet and basin in room. 3. Girls-only room - 8 bed dorm. Shower, toilet and basin in room. 4. Private Room - Queen bed, single bed and ensuite. We have a girls only room which has your own en-suite facilities so you can relax and enjoy your own space. Looking for that extra bit of privacy? Relax in our private rooms with your own en-suite. These are large and spacious rooms; you can bring friends and have your own private room. All accommodation comes with FREE breakfast, linen, room key and locker key (upon request). There are heaps of pubs and restaurants, including our own Manly Deck, where all guest receive heavily discounted meals and drinks. Get on the Cleveland line and head for Manly Station. We're 400m down hill from the station - Head east on Yamboyna St towards Mountjoy Tce.